Our strong sense of community and responsibility towards each other extends well beyond the School’s boundaries with a shared commitment amongst staff and pupils to play our part in the world and learn from the experience. Pupils are actively involved in supporting local, regional and global initiatives through volunteering, charity work and collaborative projects. Our pupils gain perspective and begin to define their societal responsibilities. Partnership activities provide opportunities to our pupils to use their talents, and develop their personal qualities for the benefit of others. Caterham School is proud to be actively engaged in partnerships, educational initiatives and projects with other schools in the UK and abroad. We have been a driving force behind the foundation of The London Academy of Excellence (LAE) Sixth Form College in Stratford, East London, an area where Sixth Form academic opportunities were previously limited. Teachers and pupils across the two institutions support each other with regular visits and collaborations. We also support Kingsford Community School in Becton and other local schools in and around Caterham. Students from Caterham conduct work experience at Kingsford every year assisting with the delivery of lessons, and helping with the organisation and conduct of sports days and educational visits. Pupils from Clifton Hill School (a Surrey school for young people with severe and profound learning difficulties and autism) come to our Sports Hall weekly to participate in sporting activities and games planned and carried out by our Lower Sixth students. In the summer term, our students organise the Clifton Hill sports day here at Caterham. 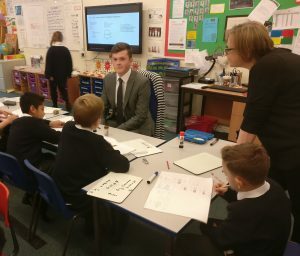 Our students ahve been acting as classroom assistants at St John’s Primary (Caterham) regularly through the Spring and Summer terms. They have been involved in a variety of activities, but mainly focussed on assisting in the teaching of English and Maths. 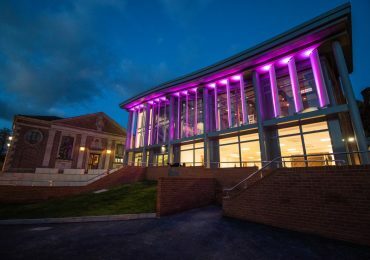 Some St John’s Year Five pupils will be visiting Caterham for some lessons, and to attend a weekly drama club in our Performing Arts Centre. 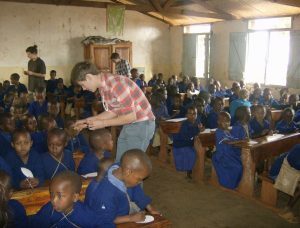 Lower Sixth students have visited Lerang’ wa Primary School in rural Tanzania annually for the last ten years. Our students conduct lessons in English, music, sport and art working in collaboration with the Lerang’ wa teachers. Money raised in our school community has been used to improve the infrastructure at the school; building staff accommodation, a kitchen and toilets for the students amongst other things. 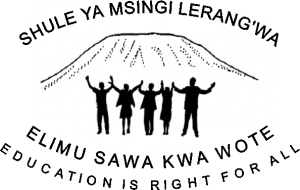 We currently support the Lerang’ wa students by raising money to supplement their diet. This year, a team of Lower Sixth students headed to Morocco in July. Travelling to the Berber village of Ikhf n lghir, in the Bougumez Valley, they undertook a community project focused on assisting at the local education centre. Currently the centre has three functions, as a pre-school for the younger children of the village, an ‘after-school-hours’ centre for additional teaching of primary and college students, and thirdly, to provide adult teaching traditional embroidery and rug making. 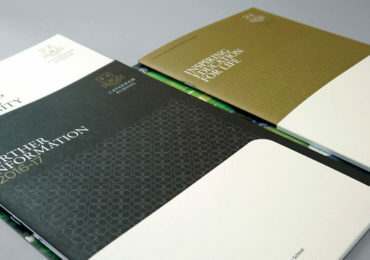 Our project was aimed at providing lessons and interactive teaching workshops at the centre for all their group types. The team also helped upgrade some of the educational facilities at the Centre. We will be running a second expedition in 2019. We have a long standing partnership with the Western Reserve Academy in Ohio, USA. Annually a group of students engage in an exchange program with our students hosting the Americans for two weeks in the summer term, and then visiting Ohio in the ‘Fall’. The trip takes on a political flavour as the group visit Washington and have privileged access to one of the Ohio senator’s offices. 18 students from across the country attended their first residential as part of a brand-new collaboration to help academically gifted and ambitious young people access top universities in the UK. 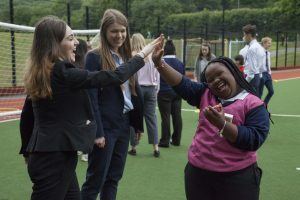 The programme, United Access, has been launched this summer by national schools group United Learning in collaboration with Caterham School and educational charity Accelerate and Access Foundation (AAF). 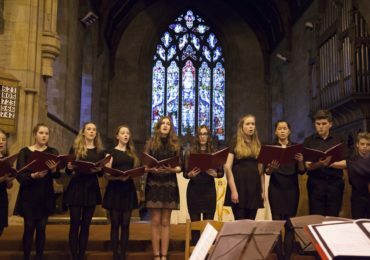 It will run for four years, with the successful Year 9 applicants attending a series of residentials and being supported by undergraduates from Oxbridge and Russell Group Universities. The programme is open to students who are eligible for Pupil Premium funding, who would be the first generation in their family to go to university and who would have been identified by teachers as having the academic potential to excel in higher education. The successful candidates attended the first residential in July 2017 at Caterham School (video). They engaged in a wide range of academic activities designed to go beyond the standard curriculum to challenge and develop their understanding. Sessions ranged from letter writing and exploring Chaucer to debates on economic policy and learning drama techniques. In addition, students got actively involved in orienteering, basketball and the high ropes course. 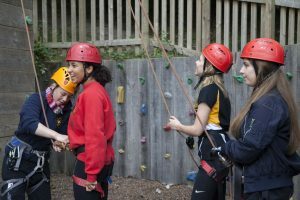 The second residential was held during Easter 2018 at Caterham and the third at Woldingham School in June.